It looks like your Facebook News Feed isn’t the only thing Facebook and team wants to change, the social network service also recently announced a new design to your Facebook Timeline, paying emphasis on things you care about. 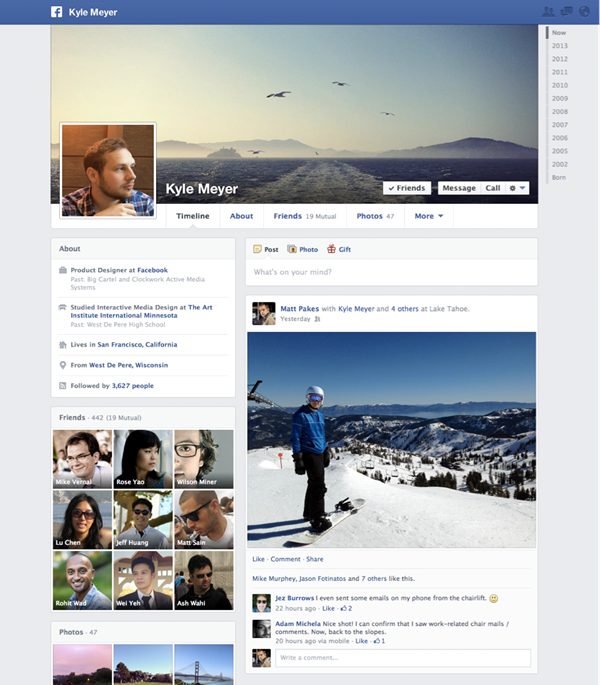 First up, Facebook wants to make it easier for you to share your interests in a revamped About page. You can easily share your favorite movies, books, music, and even post app activities via third-party apps such as Instagram and Goodreads directly on the About page. Another change is on your personal Timeline. Think that the current Timeline is a little too messy with posts split to the left and right side of the page? According to Facebook, the new layout will be much cleaner, pushing all your posts to the right side, while the rest such as photos, music and other activities will be published on the left. More information available on Facebook. The new changes will be rolled out over the next couple of weeks, what do you think about it?